I finished the first of a pair of thrummed mittens I'm making for a Christmas gift. This was a SUPER quick knit... I think it took 1.5 movies for me to finish the entire mitten. 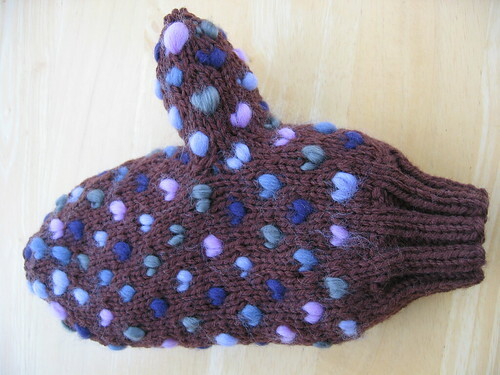 Only one more mitten to go! Fiber: Soysilk (grey) and Merino from the Fiber Studio. I used just over an ounce of fiber for one mitten.